on Beautiful Little Spider Lake! "Scenic Views, Clean Water, Fresh Air, Relaxation, Nature & Wildlife"
A Fishermen and Family Paradise! Other destinations may beckon but few can beat the classic summer family vacation in the "Northwoods". 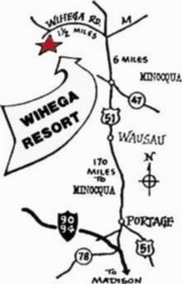 Wihega Resort is a pet friendly, family owned and operated housekeeping resort where, "Up North at the Lake" can still be found! For three generations it has been a repeat vacation destination for fishermen and families alike. Especially beautiful in the spring and fall when you can getaway for a fishing trip or long weekend stay at discounted non peak season rates. Bordered by the beautiful Northern Highlands/American Legion State Forest on one of the most beautiful, unspoiled lakes in the Northwoods-Little Spider Lake. Excellent recreational and fishing opportunities include fishing for trophy musky, walleye, northern pike, bass and panfish. 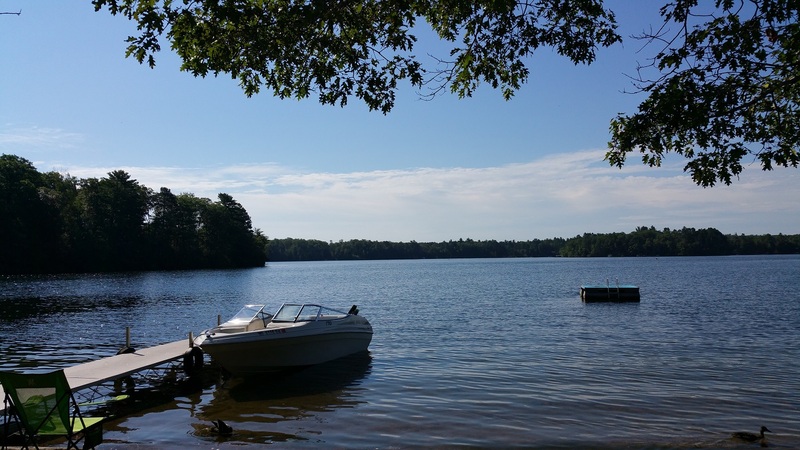 Located in a quiet bay with 400' of level sandy lake frontage, its perfect for swimming with its gradual water depth and all day sun. Paddle along the lake shore and you will be amazed at the beautiful scenery and wildlife you will see. The state forest offers miles of hiking and biking trails which are nearby and easily accessible. We offer paddle boats and a canoe (at no charge) and rentals of fishing boats, motors and a pontoon boat rental. During the summer season weekly rentals for boats/motors are only available and require advance reservations. Boats are available at no extra charge with a cabin rental, but please request prior to your arrival. Many area events and attractions are nearby for every age and interest in the large tourism areas of Minocqua/Woodruff, and the quaint scenic towns of Boulder Junction, Lake Tomahawk, Saint Germain, and Eagle River. They include annual festivals, water ski shows, amusement parks, horseback riding trails, logging competitions, unique shopping and dining experiences and a popular casino. For the golf enthusiasts there are several championship golf courses nearby open to the public. If you've never experienced the beauty of the Northwoods and are considering it for your next vacation, or if you have and are looking to visit again, we hope you will give us a try! Call 715-356-3520 or e-mail wihegaresort@frontier.com for more information and availability. resort sign at Moonlit Bay Lane.